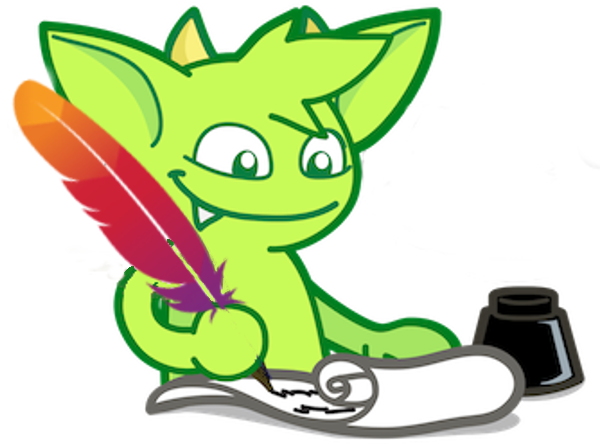 Attention: this Wiki hosts an outdated version of the TinkerPop framework and Gremlin language documentation. Please visit the Apache TinkerPop website and latest documentation. The documentation up to this point has been using examples from a simple toy graph of 6 vertices and 6 edges. For this section, a more complicated graph structure is used in the examples. A clipped representation (i.e. low weighted edges removed) of this graph is diagrammed below. This graph is a representation of the American band, the Grateful Dead. More information about this data set can be found in the following article. Rodriguez, M.A., Gintautas, V., Pepe, A., A Grateful Dead Analysis: The Relationship Between Concert and Listening Behavior, First Monday, volume 14, number 1, University of Illinois at Chicago Library, January 2009. 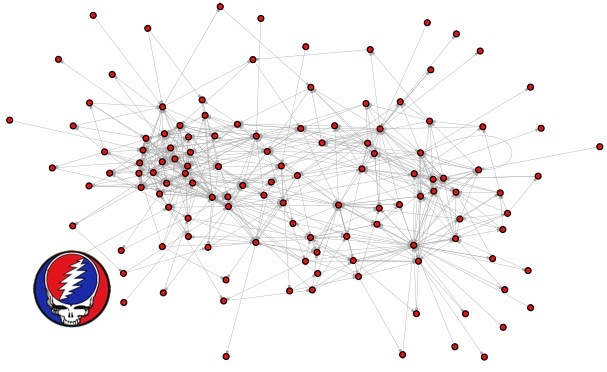 In the above Grateful Dead graph, there are vertices and there are edges. The vertices are broken into two sets: songs (e.g. Dark Star, China Cat Sunflower) and artists (e.g. Jerry Garcia, Robert Hunter). The following itemization describes the properties associated with vertices and edges. type (string): always ‘song’ for song vertices. name (string): the name of the song. performances (integer): the number of times the song was played in concert. song_type (string): whether the song is a ‘cover’ song or an ‘original’. type (string): always ‘artist’ for artist vertices. name (string): the name of the artist. followed_by (song → song): if the tail song was followed by the head song in concert. weight (integer): the number of times these two songs were paired in concert. sung_by (song → artist): if the tail song was primarily sung by the head artist. written_by (song → artist): if the tail song was written by the head artist.